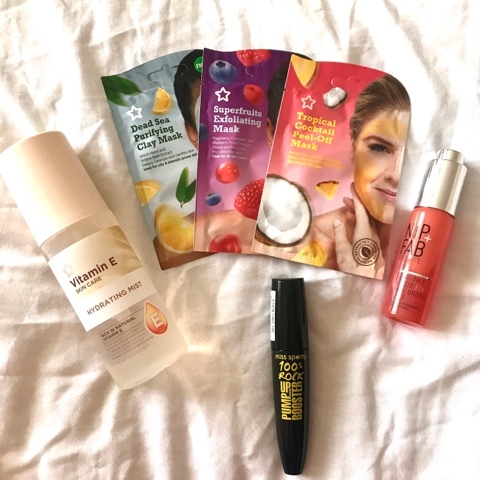 Every now and again I like to check out the popular products in the drugstore and do a little haul. Super drug is definitely my favourite drugstore because the brand itself are activists against animal cruelty and therefore I know that anything I buy from them will not be tested on animals. I only went in for a mascara.. This was the main reason for my trip. I tend to buy a new mascara every 3 months or so and I generally check out the reviews beforehand as I like to try something I haven't tried before even if I really love one I've used previously. 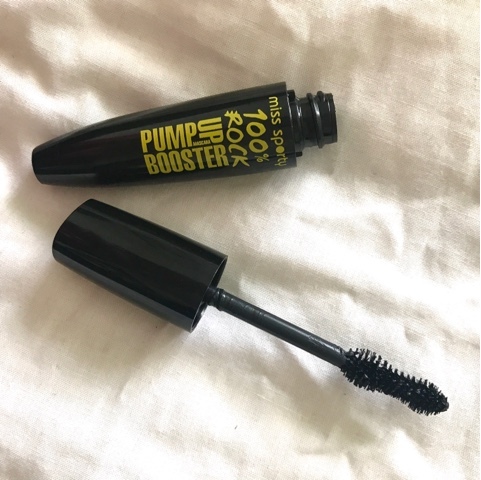 This time around I went for the Miss Sporty Pump Up Booster mascara as it had high reviews on the website. The brush is a funny shape but looks like it will give lots of volume. The other product I wanted to get was a hydrating mist. I'm currently using the Mario Badescu rose water one every morning which I love but I'm nearly out so thought I'd give a drugstore one a go. 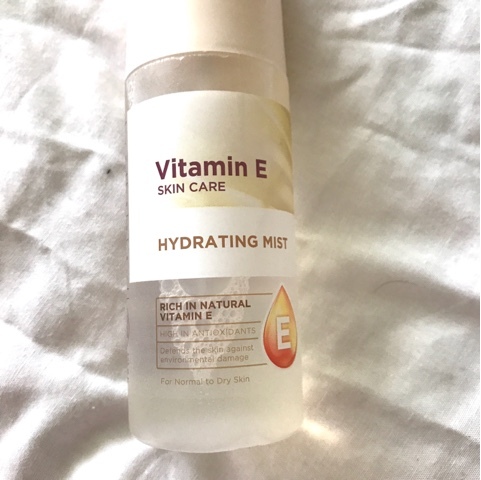 I really love the vitamin e range as it's targeted at dry skin like mine. I tested some of my face when I got home and it feels nice but slightly oilier than the Mario Badescu one. 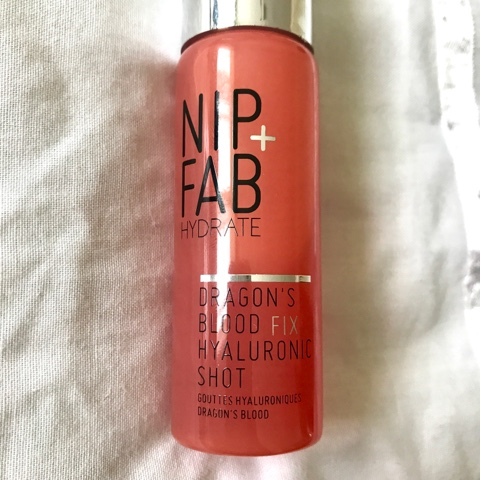 Another favourite brand of mine is Nip + Fab as they are also cruelty free. Superdrug often has offers on this brand as they can be slightly more expensive than the average drugstore products. The dragon's blood shots were half price so I thought I would see what the hype was about. It contains hyaluronic acid which is supposed to be really hydrating and anti-ageing! Have you purchased anything from the drugstore lately?